Following the death of her mother at the hands of a serial killer, a young woman grows increasingly disturbed. As the film is told wholly from the perspective of Francisca, rather than any of her victims, there are few opportunities to generate suspense. Much of Pesce's cold and clinical film causes us to recoil in disgust, but little of it makes us shiver in terror. Under the banner of their production company, Borderline Films, as directors, writers and producers, the filmmaking trio of Antonio Campos, Sean Durkin and Josh Mond have been collectively responsible for some of the finest American independent productions of the current decade - Campos's Simon Killer, Mond's James White, and most impressive of all, Durkin's Martha Marcy May Marlene, a contender for the decade's best American movie. 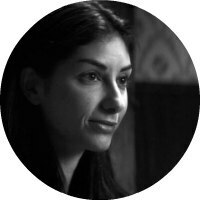 The collective have now launched a new label - Borderline Presents - aimed at promoting new independent talent, and the first offering comes from debut writer-director Nicolas Pesce in the form of his American Gothic drama The Eyes of My Mother. Though it shares thematic similarities with the work of the trio, it bears little of the distinctive quality or originality of Durkin, Campos and Mond's own productions. Shot in stark monochrome that gives the impression of a screen adaptation of some cult graphic novel, The Eyes of My Mother is the story of Francisca, an only child of Portuguese immigrants living on a small, secluded farm in rural America. As a young girl (Olivia Boand), Francisca witnesses her mother's death at the hands of a serial killer named Charlie (a spine-tingling, offbeat performance by Will Brill). But perhaps more disturbing, and formative, is the reaction of her father (Paul Nazak), who buries his wife and chains Charlie up in his barn, removing the killer's eyes and stitching his eyelids closed before returning to enjoying his TV westerns as though nothing out of the ordinary had occurred. When her father dies some years later, Francisca, now a young woman (Kika Magalhaes) keeps his corpse around for company as she gradually descends into madness and an explosion of violence. An American indie featuring a female protagonist from a foreign culture, shot in black and white and boasting a distinctive soundtrack (Francisca dances to Portuguese Fado ballads), The Eyes of My Mother will no doubt be compared with last year's A Girl Walks Home Alone at Night. Like that movie, it's impressive on a surface level, but beyond some minor touches, offers little we haven't seen before. It's essentially another version of the Ed Gein story, with a touch of Human Centipede style body horror for good measure. As the film is told wholly from the perspective of Francisca, rather than any of her victims, there are few opportunities to generate suspense. Much of Pesce's cold and clinical film causes us to recoil in disgust, but little of it makes us shiver in terror. It's a story devoid of surprises, and despite an impressive, quietly deranged turn from Magalhaes, its protagonist is interchangeable with dozens of cinematic crazies from the past. 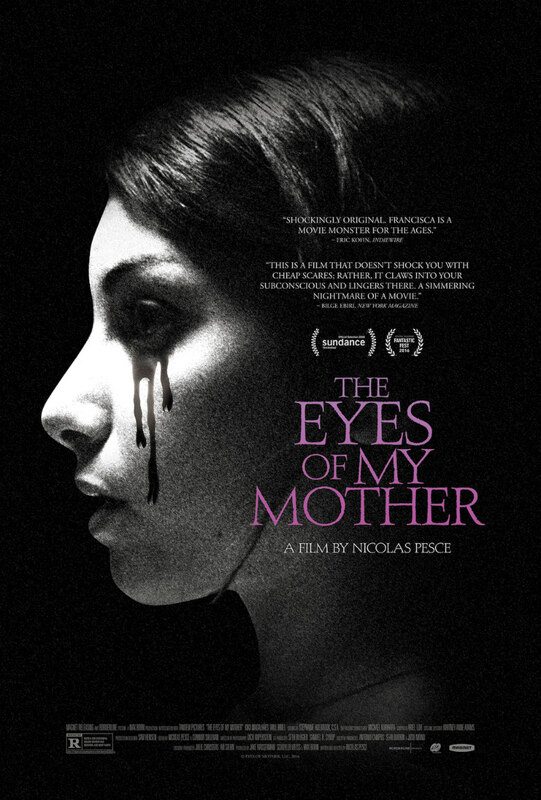 With its brief running time of 76 minutes, The Eyes of My Mother lies somewhere between a short designed to showcase its creator's talents and a fully fledged narrative feature, but it leans considerably more towards the former. The Eyes of My Mother is in cinemas early 2017.